The Garden Gathering is a is a 3-day retreat into nature with classes offered from over 40+ leading teachers and influencers in fields related to Wellness, Yoga, Healing, Ceremony, Culture, Wisdom, and Earth Knowledge. It is the first of it's kind community offering in Hong Kong for women and children only. 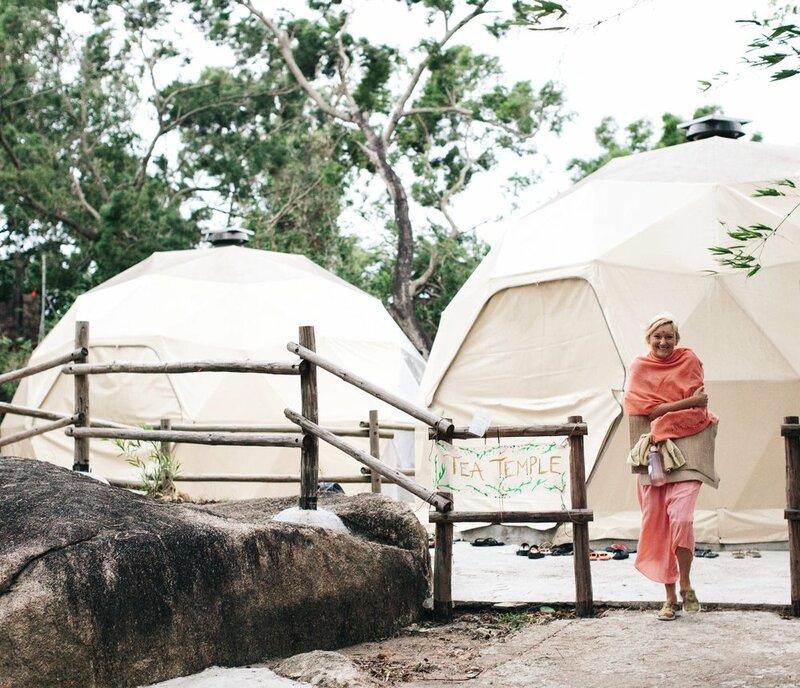 Held at the green and luscious Sai Yuen Farm, over 60 classes are offered over the weekend, along with nourishing organic meals and songs shared around the bonfire at night. The Garden Gathering is a beautiful opportunity to meet and connect with a community of like-minded women, whilst camping outdoors amongst the elements and dancing under the stars. Beyonce's Lead Guitarist & International Yogini Ambassador is all set to raise the vibe with several offerings and sharing her music! Read More about her offerings HERE. Members of The Golden Drum, a Sacred Arts Institute in New York. Brooke & Shola will be guiding a sacred class on how to make Native American Medicine Drum and Drum Stick from natural materials in the traditional way. Read More about their offering HERE. Join us for a conscious weekend as we journey to remember the ancient wisdom of our ancestors and reconnect with ways of living in harmony with our Mother Earth.